Manipulating work: rest intervals is a unique variable in time-based sports (swimming, cycling, running). 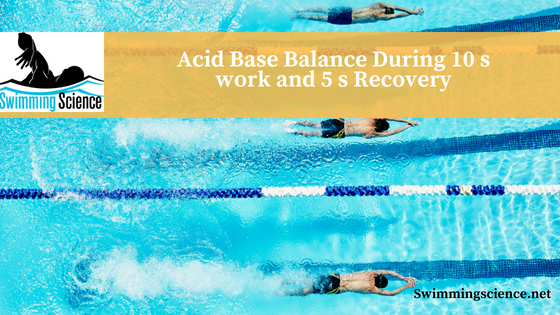 Sports scientist Dr. Brent Rushall was among the first to suggest using high repetition, short rest, and short distance swimming training (ultra-short race pace training) to improve motor control. Many swim programs perform continuous swimming but with the power output the same, which group demonstrates changes in metabolism? The purpose of this study was to study the intracellular changes in high energy phosphate metabolism and H+ concentration during a similar intermittent protocol. The intramuscular metabolic response of 10 s work: 5 s recovery (INT) was compared to continuous exercise, performed at the same absolute power output as the 10 s work period. The device used allowed the researchers to measure phosphocreatine and hydrogen ions. A test day where participants performed a plantar flexion exercise test to intolerance. Plantar flexion continuous exercise test (CONT) for a maximal duration of 10 minutes. Intermittent constant-load plantar flexion exercise test (INT) for maximal duration of 10 minutes. Hydrogen ion concentration was similar during the rest period of INT as heavy intensity continuous exercise and glycolytic phosphorylation contribution was higher during the work period of the INT than the CONT group. INT exercise with a lower overall workout results in a similar hydrogen ion concentration as CONT exercise. This is believed to occur by the run-on effect of glycolysis during the recovery period and likely a reversal of the CK (creatine kinase) reaction. Repeated short work to rest ratios at lower intensities allows greater increases in hydrogen ion concentration which is thought to increase power production and should be considered for training. Therefore, it is recommended that coaches consider INT training as a viable alternative to CONT exercise, as with proper ratios it is still metabolically demanding.